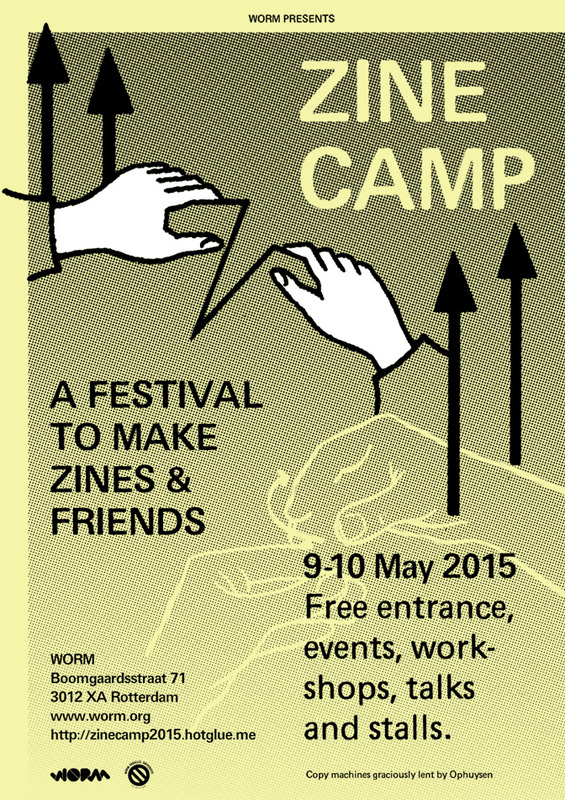 Eyesberg played a double function again organising and designing the identity for Zine Camp at WORM this year. We made the posters, flyers, website and navigational signage. In the same spirit as Zine Camp 2014, the aim was to make zines together, but also to provide a space to socialize and collaborate in an attempt to discover and foster a growing community of zine-makers in the NL and abroad. We provided materials and open work spaces, free events, workshops, talks and stalls.